Last updated on JULY3rd, 2013. RECORD STORE DAY! "Mera naam Hearty hai. Aap ka naam kya hai?" नमस्ते. मेरा नाम Hearty White है. Xin chào.Tên tôi là Hearty White. El meu nom és Hearty White. Hello. How are you? My name is Hearty. I do not understand. Welcome to my world and welcome to it. There's no one quit like you exactly, though you are a type. LOTS OF SHOWS ON THE iTUNES PODCAST AREA! I was born to a mother and father but not anymore who ushered me into this world like into a movie. Like a movie usher. But not my father so much. I learned all the great books of Europe and dreamed of reading them someday. I grew up and heard a radio. That's when I was hooked and taken to the island of lost boys. When I returned, I sought out radio again with the simple goal of helping people and complicated engineering projects. WELCOME to the home of HEARTY WHITE. I'm Hearty White. I call myself the thinnest fat man but that's not half of what others call me. For 8 years I was the host of THE MIRACLE NUTRITION HOUR, a WEEKLY one hour spirituality and entertainment show on WVFS, 89.7, in Tallahassee, Florida. Now I'm on WFMU in New Jersey and even though the show is called MIRACLE NUTRITION without the HOUR, it's still an hour. I feel strongly about tea making. I practice both English style and gongfu cha. Everything else I don't feel strongly about but I don't like bigotry or bullying. I purposely take measures to not be good at anything. I take it as a high compliment if people don't remember meeting me. As far as the ARCHIVES go, they only go back to 2008. I started, I think, in 2003, but those shows are lost forever. I did the show live then, and recorded it off the air so the recordings that do exist aren't high quality. 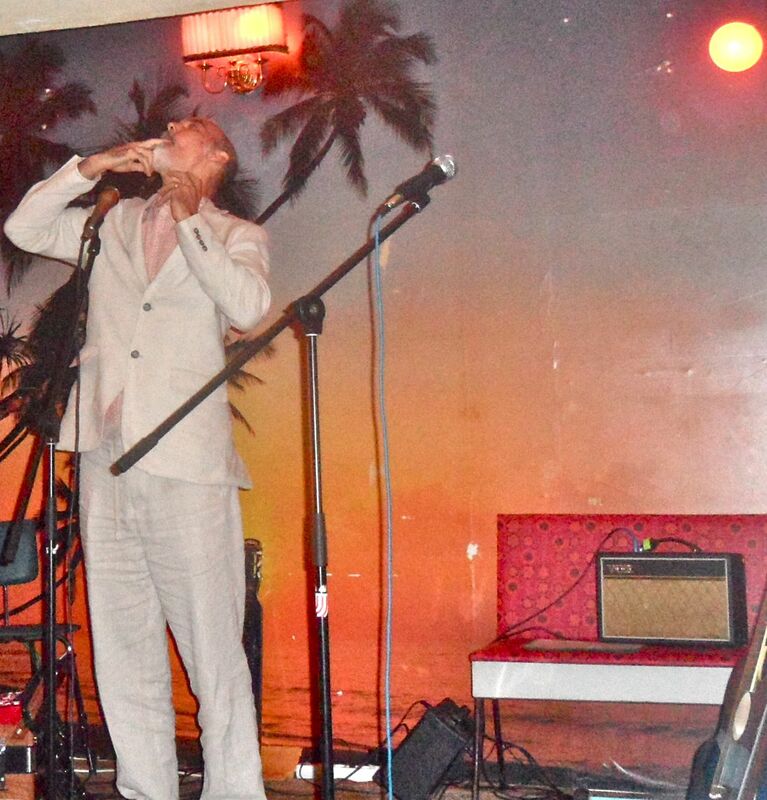 The recent shows are on the WFMU site. WFMU Hearty archive page. Also I hosted a cable access show and am helpful to others in small ways. Bless you! So please look at past shows and watch for updates on my comings, goings, doings, and other as such and further more. Again, bless you. Last night's show on waiting took place in a pancake restaurant waiting room of the mind. A sort of psychological Huddle House where we gather with the other aspects of our personalities, like "the busboy" aspect, which keeps us cleaning the tables of inner experience and personal relationships and filling water glasses too sometimes. Depends. What I was trying to get at is that sometimes it really is enough to just be present. It doesn't require that you be a brain surgeon, although if you were a brain surgeon, you would be more useful, frankly. But you are just fine now too! We need doctors and busboys and old fellows who just wait in line and tell us how good the pancakes are. In real life, pancakes are inconsequential, but the pancakes of the future, the pancakes of potential, the pancakes that represent the culmination of your purpose, they are sweet like...blintzes. I'm a little lost. But again. It's about helping in small ways. Purim was a success this year and on many fronts we were successfully not attacked by our enemies. The final show from Tallahassee, Oct. 18th, 2011, is available in the ARCHIVES section! Get the Hearty White RINGTONE!. This month's is Ballstown, the shape-note theme to the Miracle Nutrition Hour. The original theme song is long gone, but here it is as a RINGTONE. The archive section contains a few years worth of shows and the songs section is where you can find such Hearty hits as "Welcome to Tallahassee" and "Never Hungry". And if there's anything I can change or help you with, the email link is at the bottom of the page. Let's say you are an impatient dork. And are reckless about your anger. But you decide to change. And start to calm down and listen more and to think about other's feelings. So your world starts to change to. And people trust you more because you don't over react, you don't ruin their day with your anger. They let you in a little bit more. But then what if you have a weak moment? And you get angry and they become wary of you. Then you regain your balance but they still have some distrust. And maybe they are skeptical that you can even change again. That's why they say it's difficult to change. 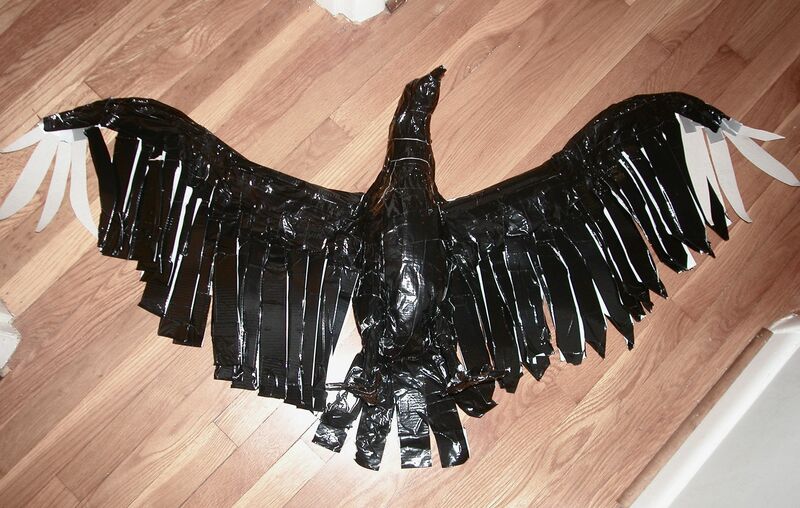 This is a black vulture made from black duck tape. I'll refine it and make it more realistic in the weeks to come. 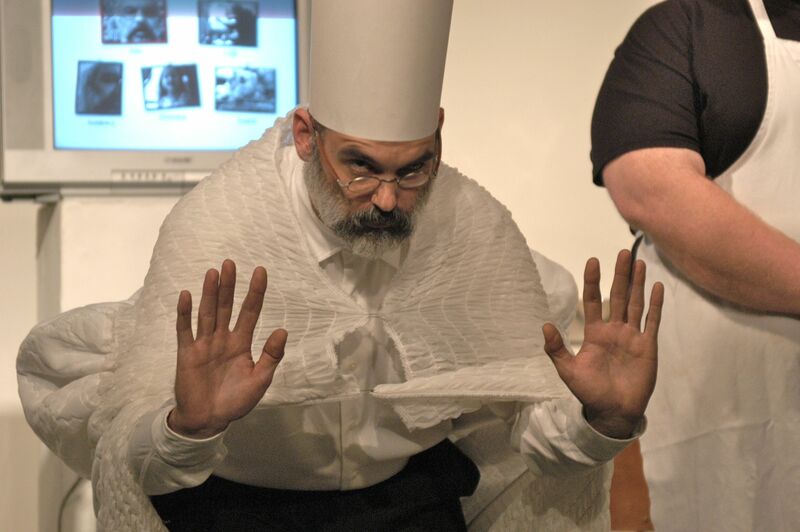 This is me performing in Berlin last year. In this photo I am talking to a hand puppet that isn't there so every picture looks as if I'm ordering three of something.